It is important that you take steps to keep your car in proper working condition. Routine maintenance will ensure that your car lasts for a long time. It will also make sure that you have a vehicle that is safe to drive. Many emergencies on the road happen because the car was not properly maintained. Here are five ways you can keep your car running safely. Many issues can occur if your tires are not inflated properly. One consequence is suffering a flat tire because the air slowly runs out of the tire. Flat tires make it impossible to drive your car. Your tire could suffer from a blow out. Blow outs occur at high speeds and can be very dangerous. Inflating your tires only takes a few minutes. Tires tend to lose more air pressure during the winter months. You may notice a puddle of liquid underneath your car. This should be checked out as soon as possible. It could be a sign that your car is leaking fluid. Fluid leaks that go unchecked could lead to the seizing of your engine. All it takes to avoid this is to add fluids every so often. Products are available that allow you to patch engine leaks on your own. However, you can have a professional look over your car as well. The engine oil should be changed every 5,000 miles or so. Doing so will keep the parts in your engine running properly. Check the owners manual to determine how often your oil needs to be changed. Most cars will have a dashboard light that will tell you when to get your oil changed. Airways in your vehicle need to be kept clear of twigs and other debris that can build up. Failure to keep airways clear can lead to dangerous levels of carbon monoxide inside the car. This can cause you to pass out before you realize there is a problem. Roll down you windows slightly to keep fresh air circulating through the car if you are running your heater for long periods of time. A small pebble hitting your windshield may seem like no big deal. However, that small chip can turn into a dangerous crack if left unattended. Take your car to a repair shop as soon as possible. Glass repairs are generally less expensive than other types of repair. Your insurance policy should help cover some of the cost as well. Consider what would happen if you ever lost your car. It would be hard to get to work on time each day. Your kids may not have a ride to school in the morning. How would you get to the grocery store? 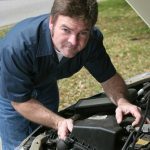 Performing routine maintenance on your car can keep it running without incident. Save yourself time and money later by spending just a few minutes staying vigilant today.